Happy New Year! Who else is excited for 2017? Last year was really rough for me (I will most likely talk about the more personal/emotional things in another post) so I am looking forward to a happier and brighter year. It's so weird to think that this is the first post of the year, but because it is the first, I wanted to truly capture what I am all about! 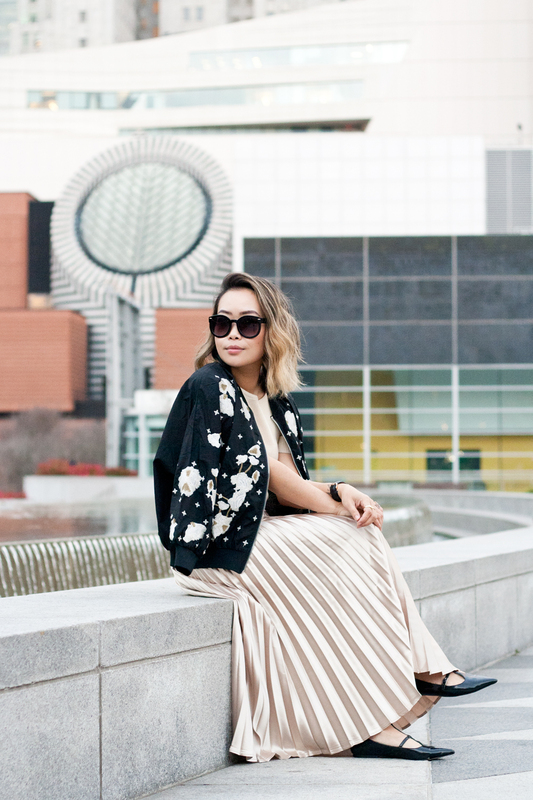 Shot this look in Yerba Buena Garden with the San Francisco cityscape in the background because I am a city girl at heart. This look also sums up my style... mostly neutral, a little bit of statement, and quite feminine. Can we also take a moment and talk about this gold pleated skirt from Azalea? I couldn't think of a more appropriate piece to rock the new year! Gold pleated skirt c/o Azalea. Floral embroidered bomber jacket from Boohoo. Velvet tasseled clutch c/o Ted Baker. 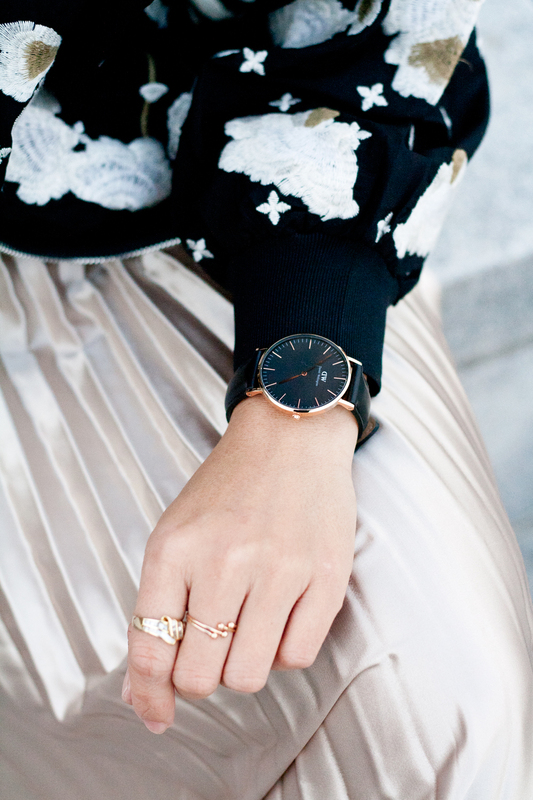 Classic black leather watch c/o Daniel Wellington. I really like your way to match flowery bomber jacket and that pleated skirt. It can make a casual but still feminine look. Lovely & happy new year.